Being the snow princess definitely has its advantages. If someone's mean to you--blizzard over their house. Want a day off from school? Snow day! 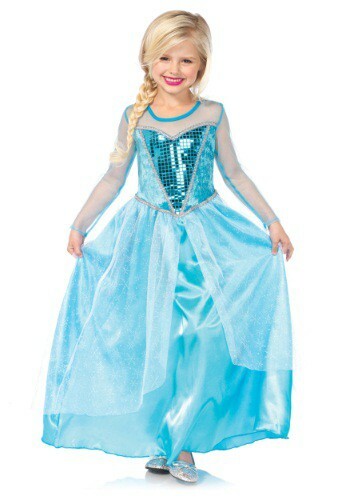 Bring snow cheer in this Crystal Queen Costume. If you've read The Once and Future King, T.H. White's retelling of Arthurian legend and the basis for the musical Camelot, you know that the young Arthur enjoyed shirking his royal duties and hanging out in the forest. He was, in fact, doing just that when his intended bride, Guinevere, arrived and he met her in the woods. And he may have been wearing something like this Forest Prince Costume! Add a little glam to your girls costume with these Girl's Blue Glitter Shoes! They are the perfect princess footwear to pair with your little girl's outfit. She can dance or go on a magical journey, but wherever she goes she's going to shine with these fun shoes on her feet! The whole world will be her stage when you outfit her with her new costume. Just make sure that she has the shoes to match! 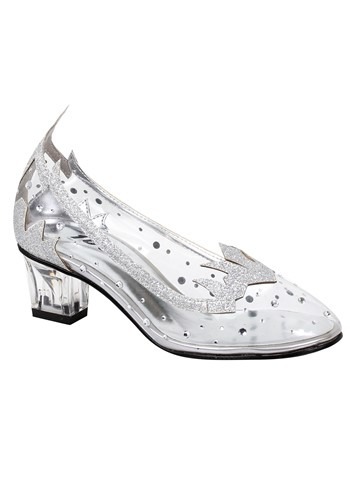 These silver glitter shoes are perfect for a princess, fairy, or a stage stealing star. With your little girl as the star, that stage is going to be owned! If your little girl loves to play dress-up, then she'll adore this Girls Pink Princess Costume. 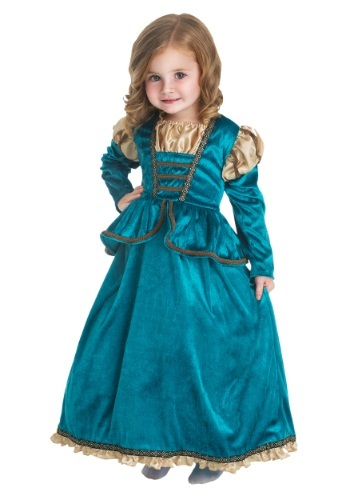 This costume is simply a gem; all little girls love feeling like a princess and now they can look like one too! 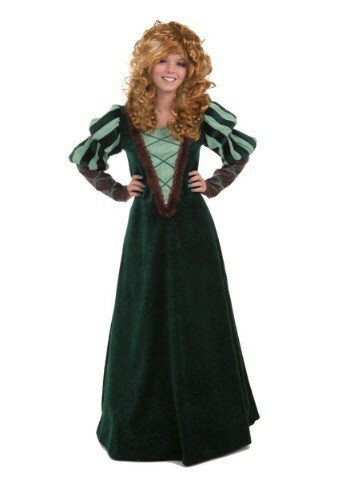 This costume is girly and enchanting. Pick up a wand and now she's magically turned into a faerie! Princesses have a fun life. These royals get to live in colorful, large castles that are filled with dresses. They also get a chance to speak and sing with forest creatures. Their conversations range anywhere from which prince charming is the best to what their latest dreams are about. But the greatest thing about the princess life is having a fairy godmother. They can make anything magical like glowing dresses. 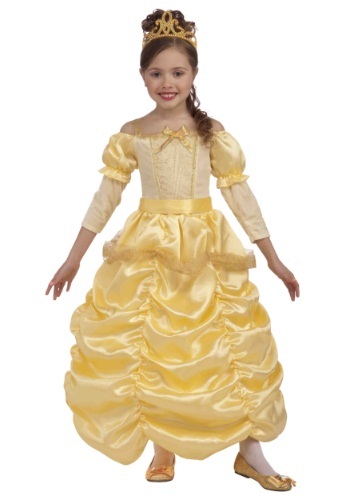 Now your little girl can wear a magical dress that lights up this Halloween. 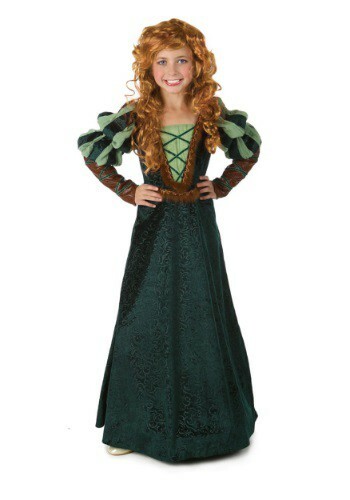 Even if she's not sure she's brave enough to face a bear, she'll love this Girls Scottish Princess Costume! She can practice her archery so that she'll be sure to win the contest and the chance to choose her own path in life. Let your little girl become the ruler of winter this year! She will have the command of the frozen elements at her fingertips. She could make snowmen appear from thin air, icicles drape from any roof top, and make Christmas happen everyday. The one who rules the icy days of winter truly can have it all. Now you can give your daughter a chance to be the true Queen of the snow covered lands! You'll truly be the Queen of Hearts in this Gold and Red Princess Crown! 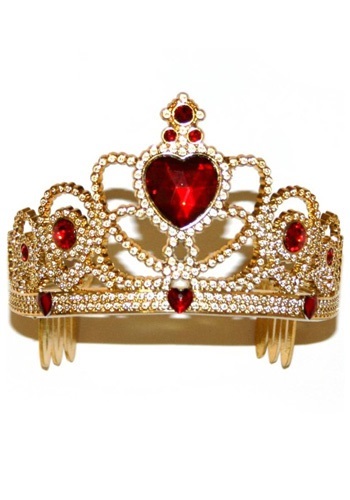 Top off any red princess or queen costume with this sparkling tiara for a truly regal look. You know you treat her like a princess, so proclaim her status to the world! Keep her cozy on outings with this Infant Pink Princess Crown Hat. It's handmade with soft yarn, in a delicate princess pink hue. She won't want to take it off! After seeing the Magenta Princess Cloak, we've decided that one of our top priorities is to bring the cloak back into style! This one is the perfect color for any kind of princess duties, like fancy tea parties, adventures with dashing princes and even riding unicorns. (Hey, some princesses ride unicorns, you know?) If your girl in planning on doing those things or anything else princess-esque, she's going to need this cloak! All eyes will be on you when you enter the ball in this Passionate Princess Costume, and not because you showed up in a pumpkin! While your stepsisters may not recognize you, they will be jealous by your beautiful gown and all the attention you're sure to get. Just remember to show a little bit of humility once your queen. In the fantasy world of fairytale land there exists a castle that houses someone special. That person is a princess who is the cutest in the land, just ask the magic mirror. Now when she isn't passing decrees and attending fancy dress balls she is going on adventures with adorable forest creatures. Now your little girl can be set for pretend time or a Halloween party with this pretty pink dress. 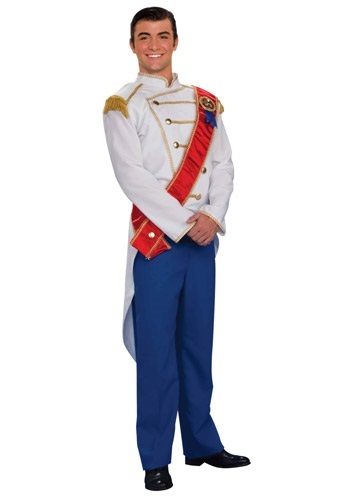 This Prince Charming Costume will take you from regular gentleman to enchanting gentleman. 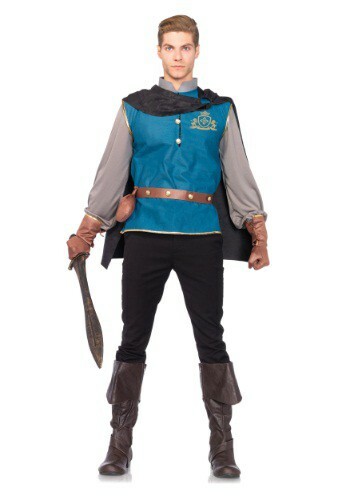 Use this costume to become a prince charming and pair up with a Storybook Princess costume for a whimsical couple costume. 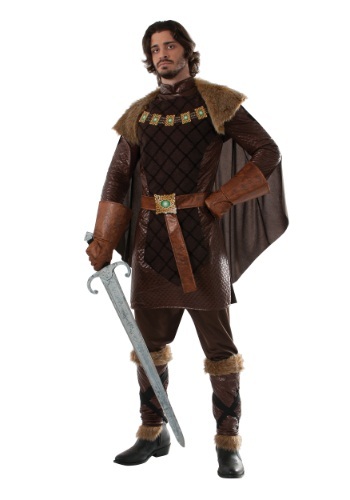 You can even go the regal route and use this costume as a Prince William costume and go on a quest to find your own Princess Kate! What is is about princesses and the color pink? The sparkly part, I get. But pink? Oh, well. This Princess Headband is the perfect finishing touch for any costume--especially if it's pink! You'll sparkle from far away! 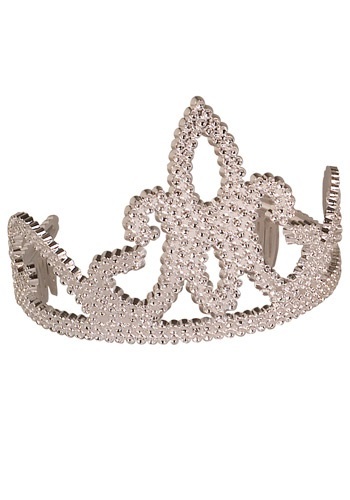 This Princess Sparkle Tiara is a must have for a Disney princess costume. 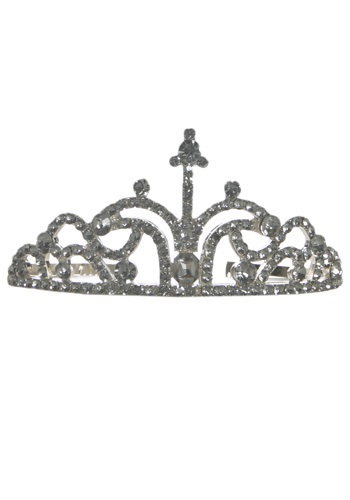 You can also wear this tiara for a storybook costume or any historical themed costume! A dream is a wish your heart makes when you're fast asleep.... Now that you're awake, open your eyes and gaze upon this shimmering Princess Tiara. Wear it and you're sure to attract your perfect prince! This tiara is made from durable plastic and is best suited for children. Look just like a young pageant contestant in this Redneck Princess Wig! It's a great accessory with our redneck princess dress. Crown is included! What is the greatest thing about being a royal queen or princess? It is being able to wear the prettiest of all crowns and tiaras. Most royals have a massive collection of these headpieces but they also have a few of their favorites. Now you can rock your newest and most favorite tiara when you add this accessory to your princess or queen costume this Halloween. Your daughter will feel like a true wonderland queen when she wears this Snow Queen Cape. It even has an attached hood! You should've been a prince. You've got the looks, the charm and style. The only thing you're missing is the royal bloodline. (You have to blame your parents on that one). This Storybook Prince Costume lets your shrug off your commoner ancestry and become the royal heir you've always wanted to be. It gives you the look for fighting dragons and breaking evil spells with nothing but the power of your kiss. (That pick-up line only works with certain princesses, so beware of trying to use it on anyone else). This Toddler Princess Costume could have been worn by a very young Marie Antoinette. It has all of the luxurious features that were characteristic of the Palace of Versailles. Any little girl couldn't help but love it! 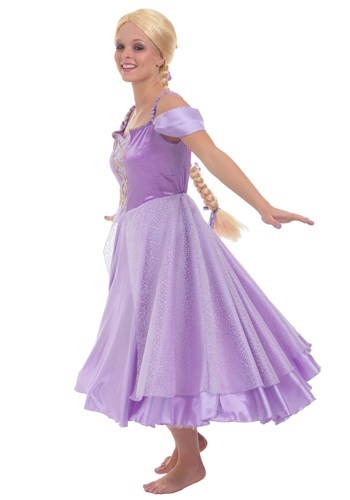 She will definitely want to see the world beyond her tower in this Toddler Rapunzel Ballerina Classic Costume. Finish it with a Rapunzel wig, glittery purple shoes and a Disney Princess treat pail.